Your smile shouldn’t cost you an arm and a leg. If you find yourself constantly wishing you had access to cheaper dental care, take a moment to pause and ask yourself why your current dental care is so expensive. Is it possible that you’re being taken for a ride? It would be ideal if all health care providers, including dentists, valued quality of patient care over profit. Unfortunately, that is not always the case. 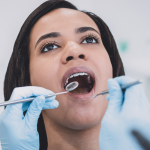 Unethical doctors and dentists may look to take advantage of unknowing patients or those in desperate need of immediate treatment, so it pays to be educated on the risks associated with not closely screening your healthcare provider before making an appointment. 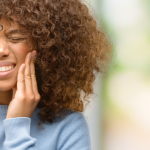 To make sure you are not being taken advantage of, continue reading to learn more about three common kinds of dental scams, as compiled by Bankrate.com, an expert in finances. 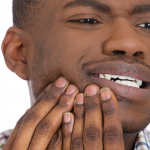 Unnecessary Procedures are more common than you might think. While you might find it rather simple to double-check the billing and watch carefully to ensure no insurance fraud is happening, it can be difficult to know if a health professional is being truthful about their diagnosis and proposed treatment plan. Cosmetic dental work can be very expensive. This is a major windfall for many dentists and some may attempt to “sell” patients on these costly procedures though they are not necessarily critical to maintaining oral health. 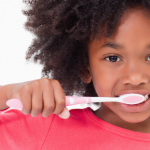 Dental Bullying can also pose a big problem. The white lab coat gives authority and lends weight to whatever comes out of the mouth of the dentist, even if what’s coming out is just a scam to keep you from accessing cheaper dental care. Be sure to listen closely to your doctor’s proposed course of action and if you are uncertain on the legitimacy of any part of the treatment plan, do not hesitate to seek a second opinion before moving forward with costly procedures. 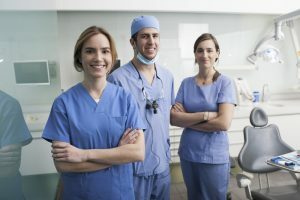 The financiale experts at Bankrate.com suggest getting a second opinion from a low cost dental clinic at a dental school. While it’s remarkable how cheap dental schools can be for patients, you can rest assured that the dentists there are either learning or teaching. At Penn Dental Medicine, our clinic patients receive top quality care and billing is closely monitored, leaving no uncertainty about what procedure is being performed or why. Enjoy the freedom that confidence in your healthcare provider brings; contact Penn Dental Medicine today to get an honest, objective consultation today.